Tribute BFA is a 2016 grey colt, that stands 15 hands tall & is continuing to grow. Tribute was the resulting foal of Bradley’s Flinthills Arabians acquisition of his dam in 2015. Tribute is sired by National Champion, ROL Intencyty & out of Bradley’s own Imported Multi-National Champion mare, JA Eloise. So with both of Tributes parents succeeding as show horses all over the world, the expectations are obviously very high. Patience has been a key in the progression of Tribute, as he was born a little prematurely. As this young star is catching up in size & maturity he is sure to live up to the expectations placed on him. He has very desirable features that were passed onto him from his sire & dam. 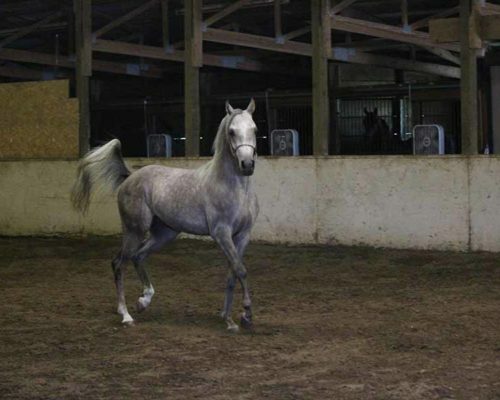 The Arabian horse is expected to be a very form to function horse & Tribute is just that, with some very extreme features that make him special. He has an unbelievable neck that is very long & shapely, followed up with great expression in his face. 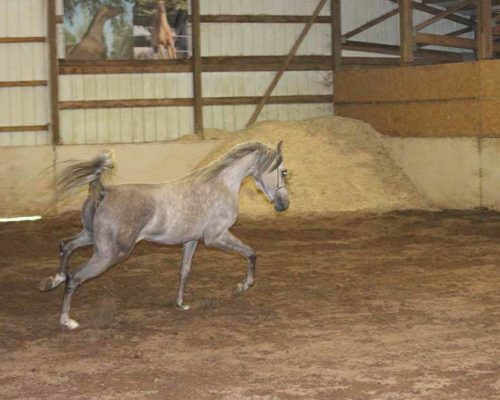 He is a very impressive horse in motion & carries his tail high & straight. 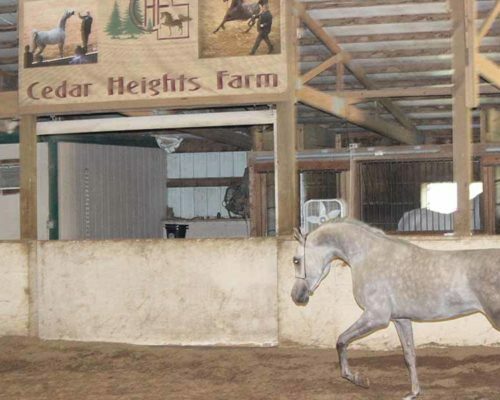 It is believed that Tribute will succeed as a halter horse & or a performance horse as he matures. His pedigree includes a very diverse group of world renowned horses such as ROL Out of Cyte, Gazal al Shaqab, Aria Elation, Cytosk, Ericca. 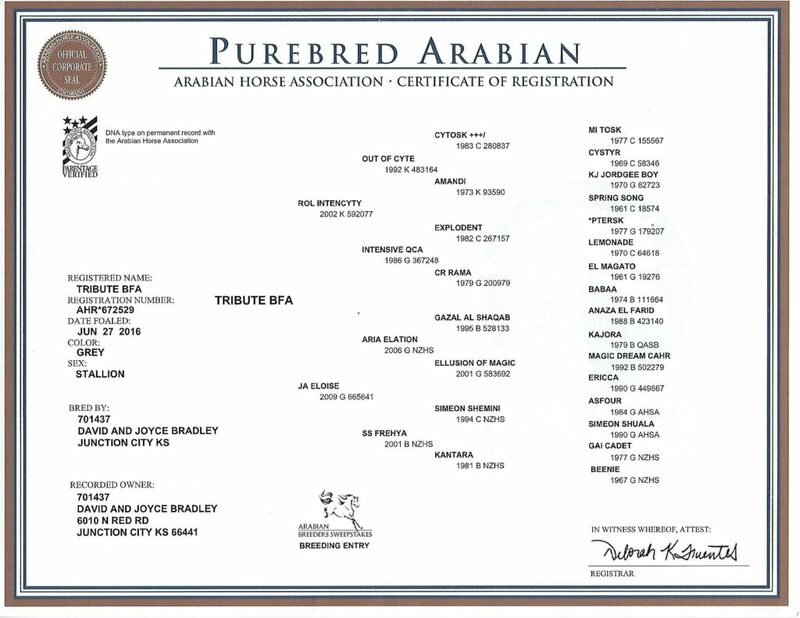 This diverse pedigree combines some of the best pedigrees in both the Halter & Performance horses in the Arabian Horse World. In conclusion, Tribute BFA is the first foal of Multi-National Champion & looks to be well on his way of living up to the expectations that are expected of him.